Boy do I have a tutorial for you today! 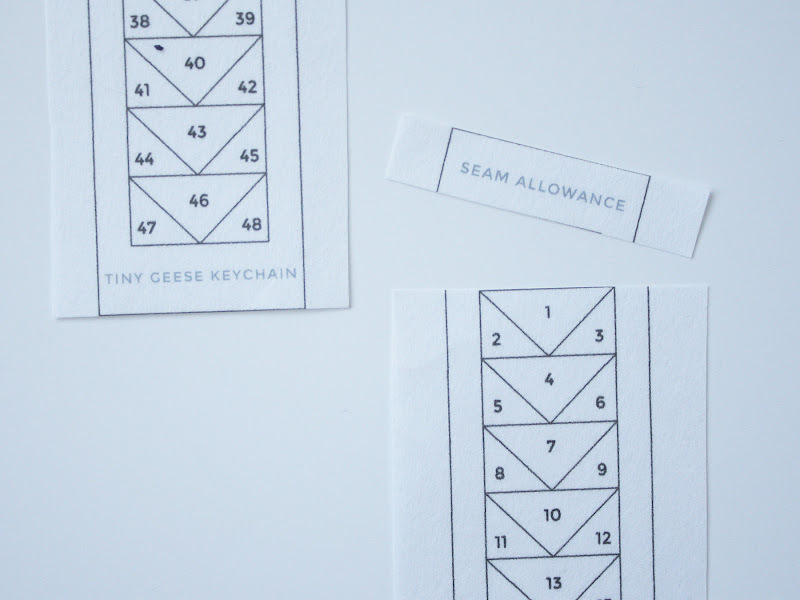 Remember my Tiny Geese Keychain PDF Pattern? of adorably teenie geese would look like! 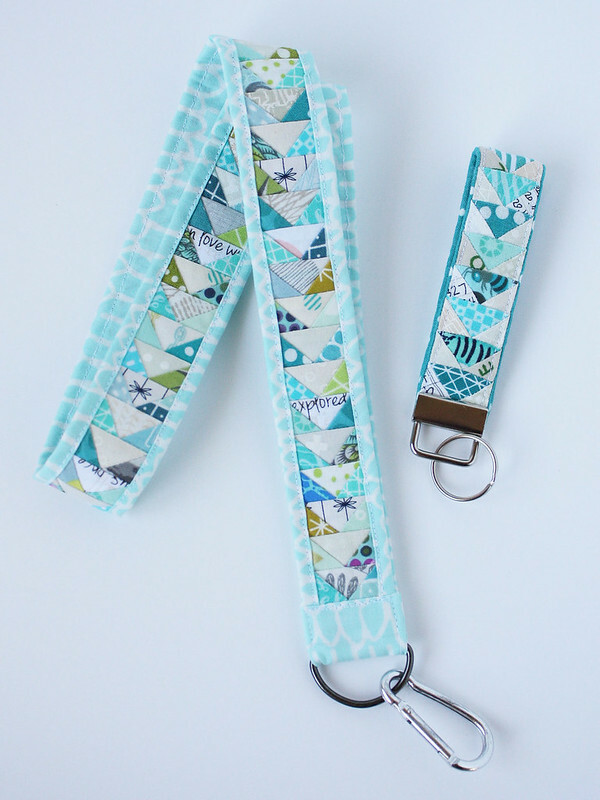 so you can hack your copy of the Tiny Geese Keychain to make your very own lanyard! in case you need extra length than the 8" finished keychain. 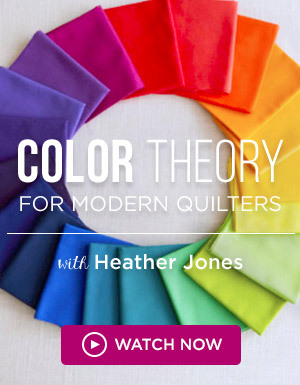 As a disclaimer, this tutorial is not for the faint of heart! 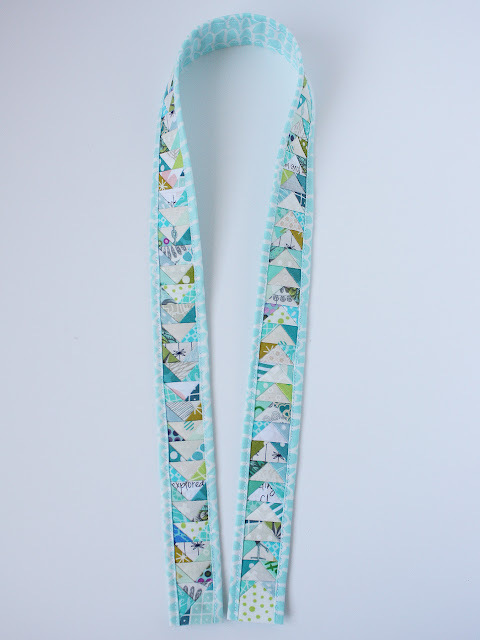 To make this lanyard I ended up piecing almost 200 of those 1/2" x 1" geese! But I've got to say, the end result is pretty stinkin adorable. and will definitely be bringing this guy along. 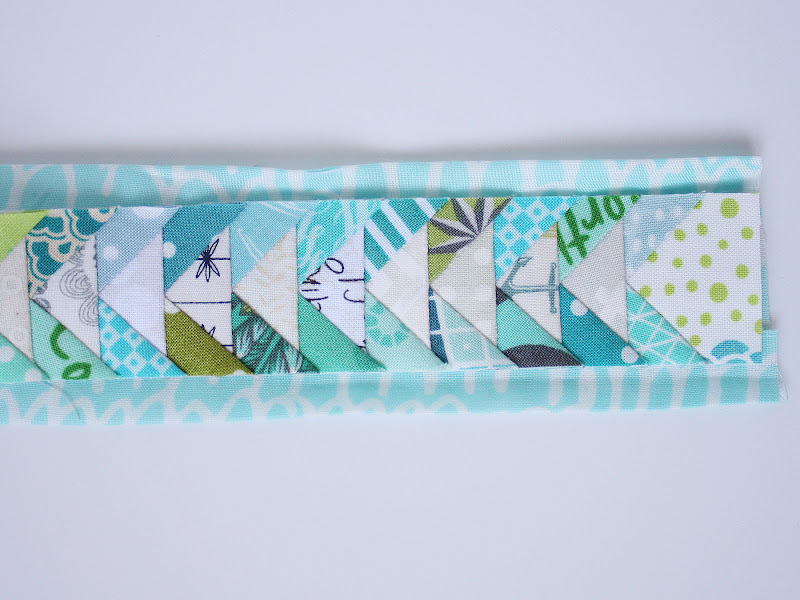 I think I'm going to stick my quilt guild name tag on it too and wear it to meetings. 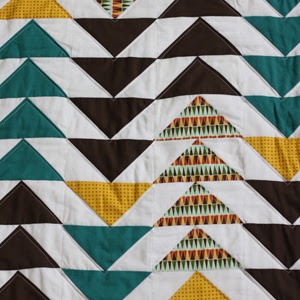 And hello, this is almost a necessity for QuiltCon! from the Tiny Geese Keychain pattern instructions. 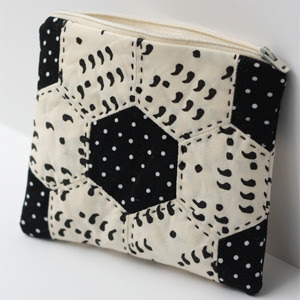 but be sure to read through this tutorial carefully before you begin sewing! put in a good, long movie, and let's get started! 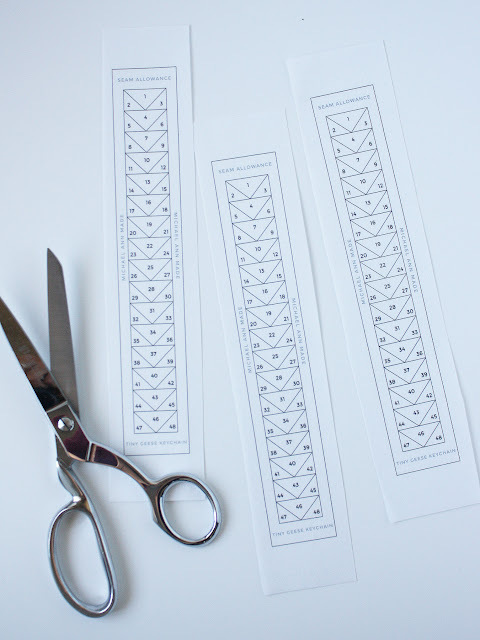 so you don't have to rip out the paper in the end. to try and it was perfect for this project! 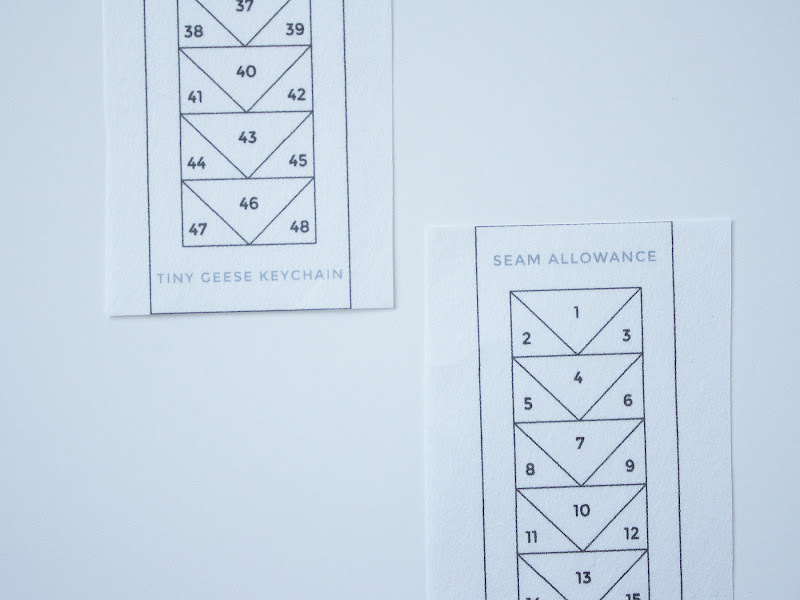 - And a copy of the Tiny Geese Keychain Pattern! 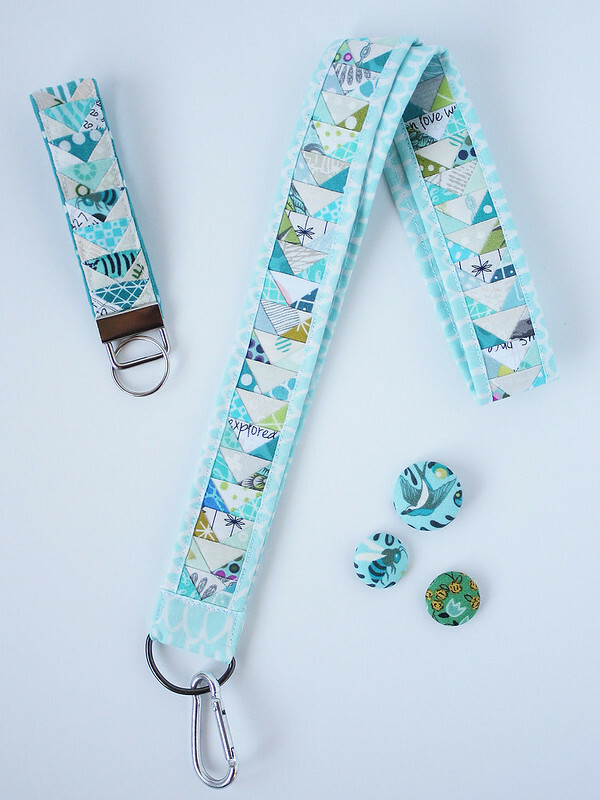 First print off your pattern pieces, enough to make your lanyard. 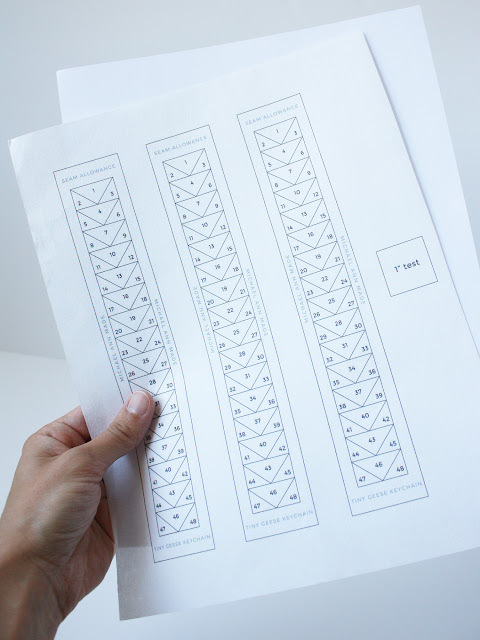 If using a leave in foundation, cut the foundation to size and put that straight through your printer. 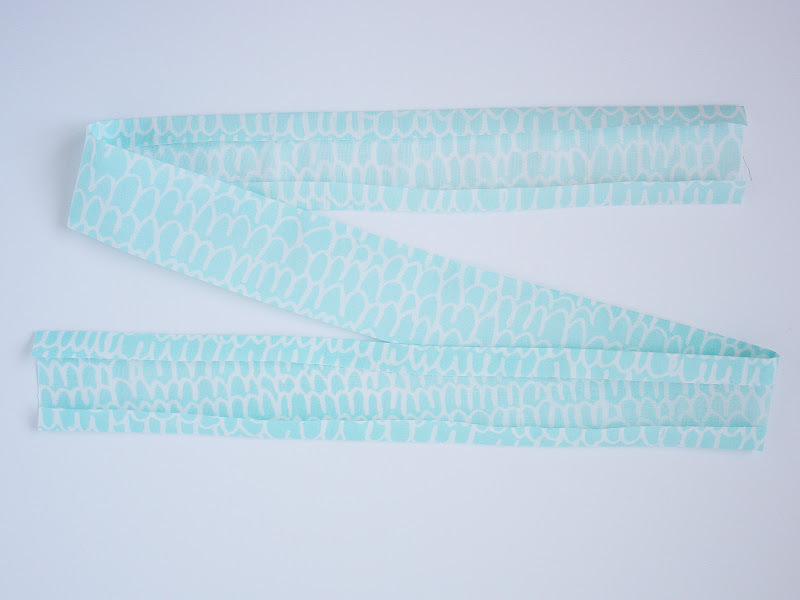 because the dark lines showed through the light colored fabric I used for the lanyard backing. if you are using a light colored backing fabric and the leave in foundation. 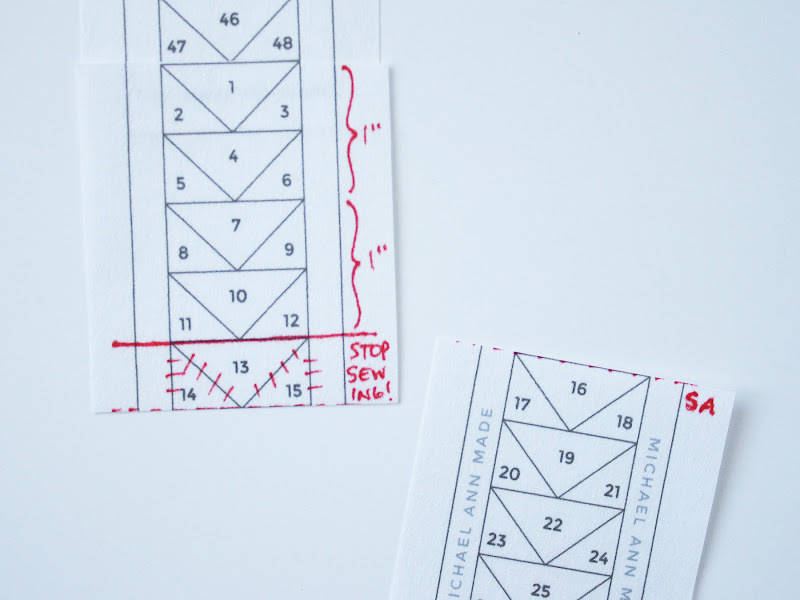 Start with two of your pattern pieces, with both cut along the seam allowance line. so the pattern ends at the design line. completely covering the seam allowance. 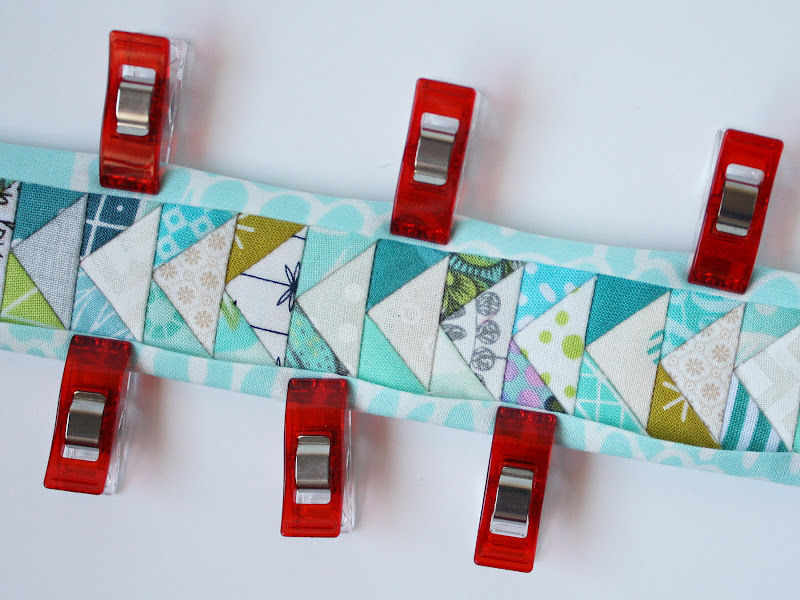 Use a spot of white glue and heat set with your iron, or a couple pins to hold them together. Decide on the final length you would like your keychain/lanyard. 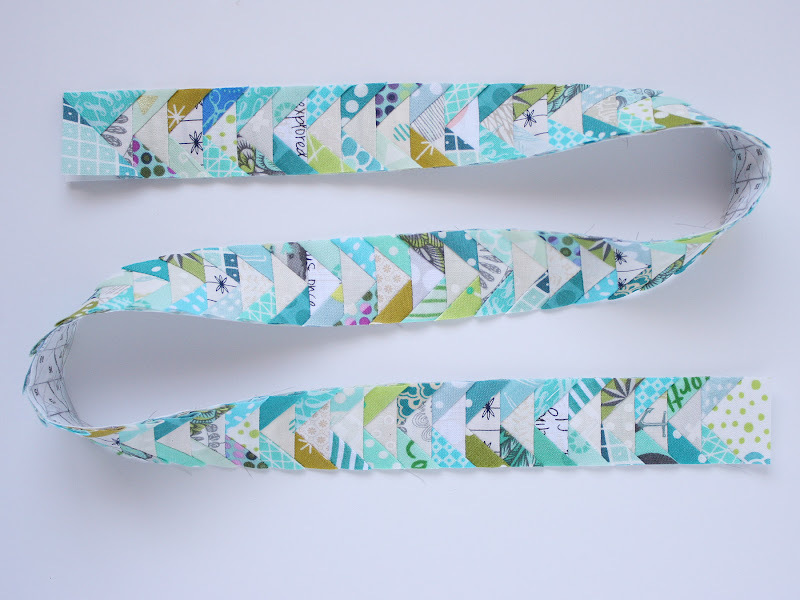 Keep piecing patterns together (each pattern is 8" long) until you reach your desired length. 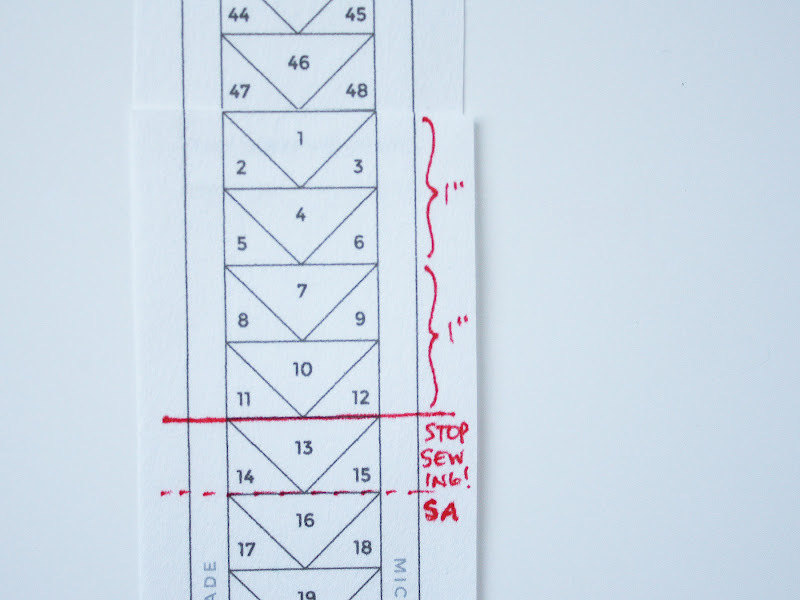 Mark directly on your pattern the new design line (where you will stop sewing). 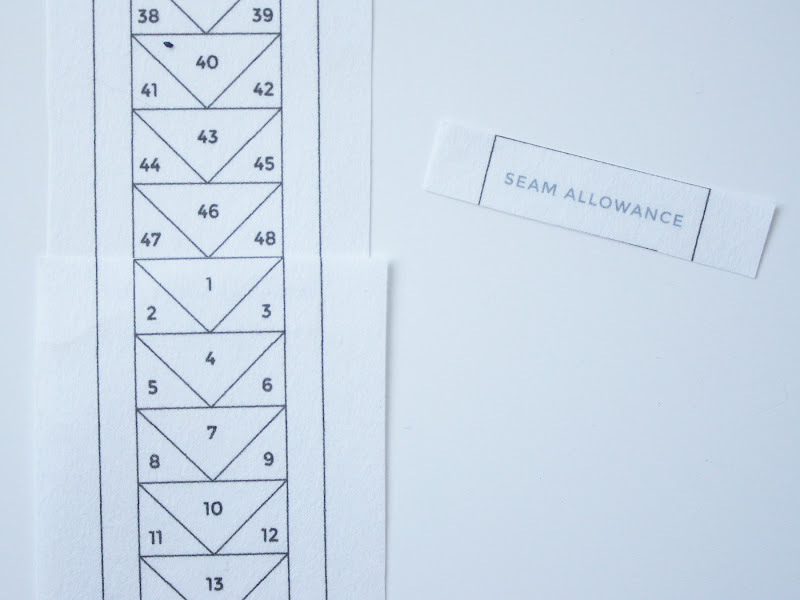 Also be sure to mark a 1/2" Seam Allowance! 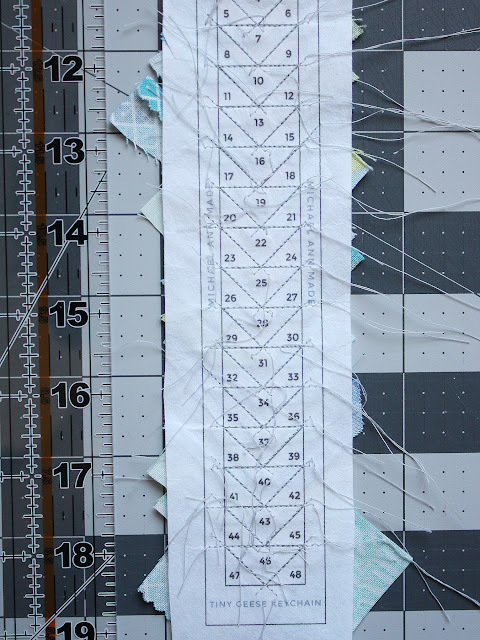 Cut off the additional pattern at the Seam Allowance line. 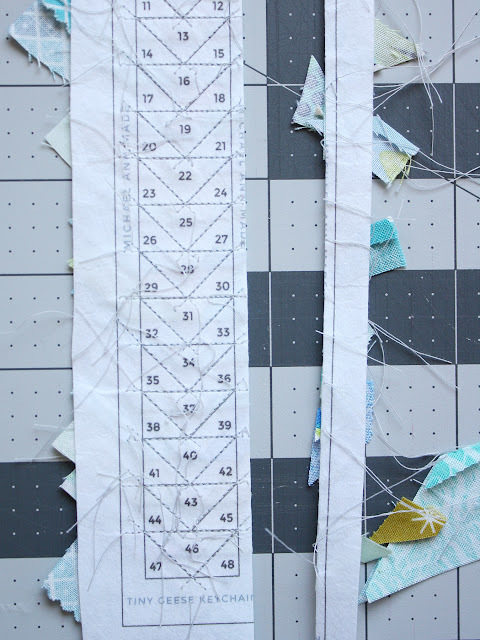 It can help you to remember the last 1/2" is seam allowance by scratching out the design. Now you're ready to piece! or the keychain pattern instructions. 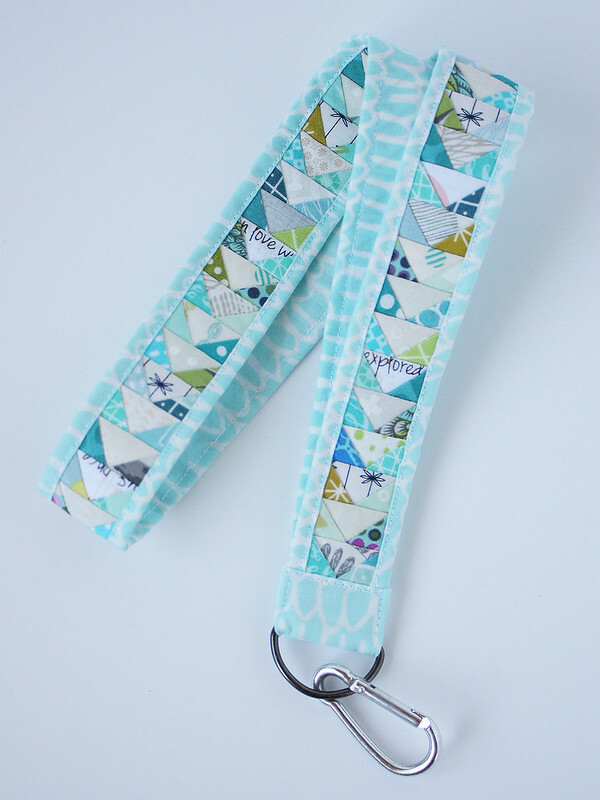 If you're making a lanyard, get yourself comfy and have fun! When you're done, we will be trimming the side seam allowances to 1/8"
as opposed to the 1/4" drawn on the pattern. 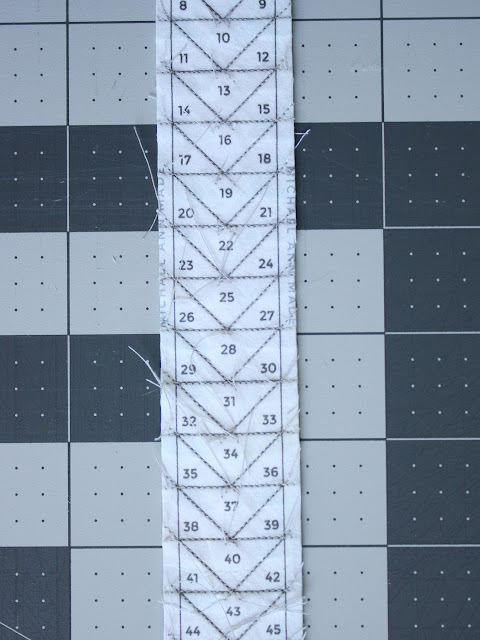 Just line up your ruler along the finished geese, 1/8" away from the design line and trim. Make sure you trim both sides. Now you should have a whole string of adorable tiny geese! If you used paper as a foundation, go ahead and tear all your paper out. If you used a leave in foundation, continue on! 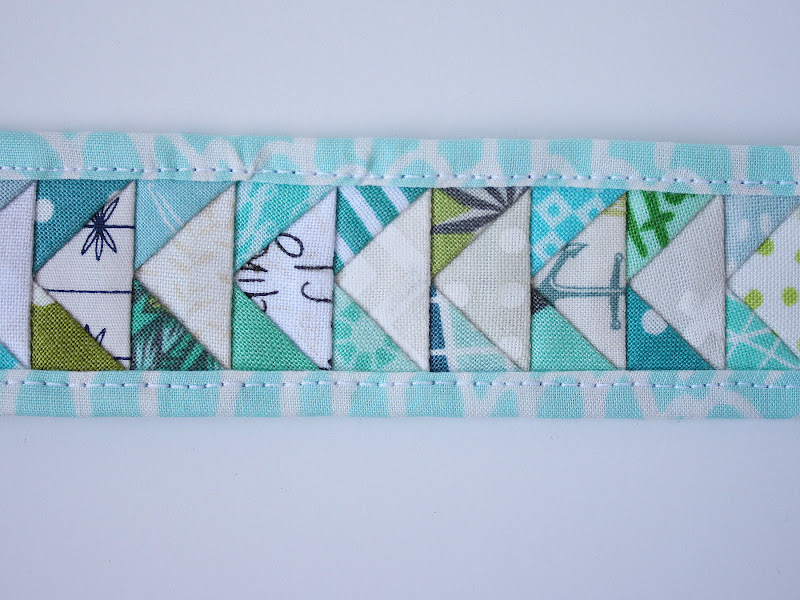 Cut your piece of backing fabric 2 1/2" wide by the length of your keychain/lanyard. Press both long sides down 1/2", trying to be as accurate as possible. Lay your backing fabric right side down. and the folded sides extend 1/4" on either side of the geese. or where the design line/seam allowance line would be. 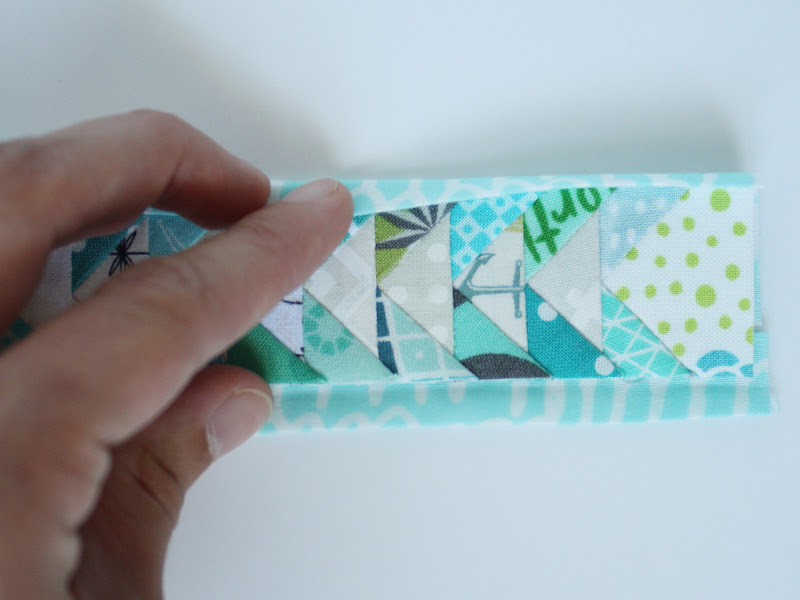 Be very careful not to pull the fold too much and take fabric width away from the other side. 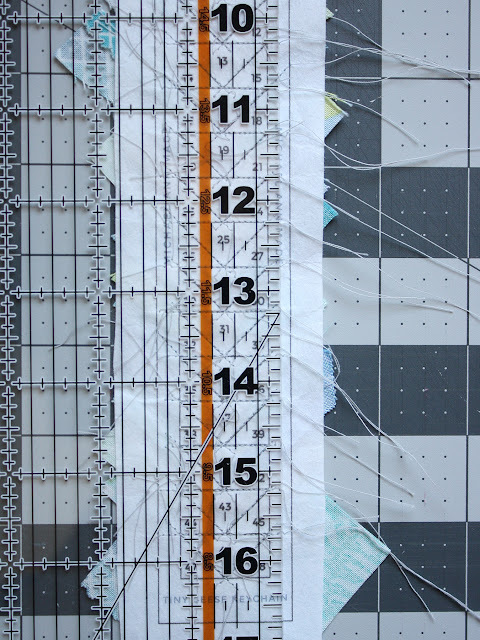 You want to make sure the geese panel stays centered on the background fabric. 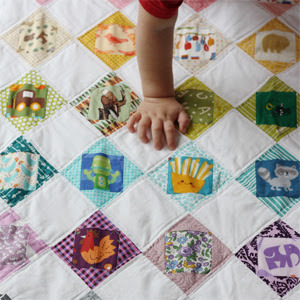 Use your favorite method to baste the folds in place - pins, Wonder clips, or glue basting. Top stitch down each side, right alongside the fold. 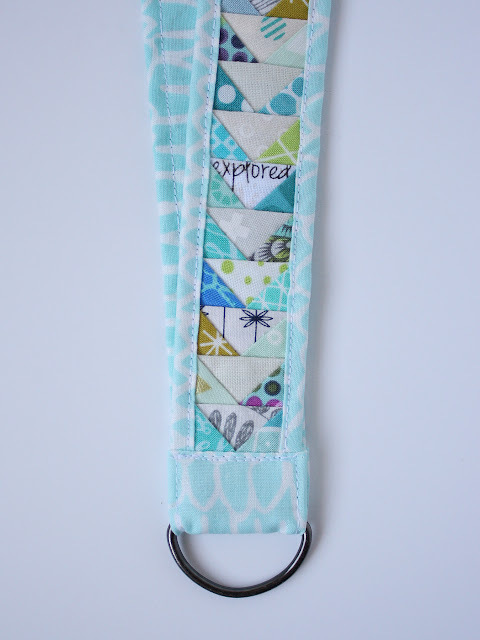 Finish off your keychain/lanyard following the pattern instructions for your type of hardware. 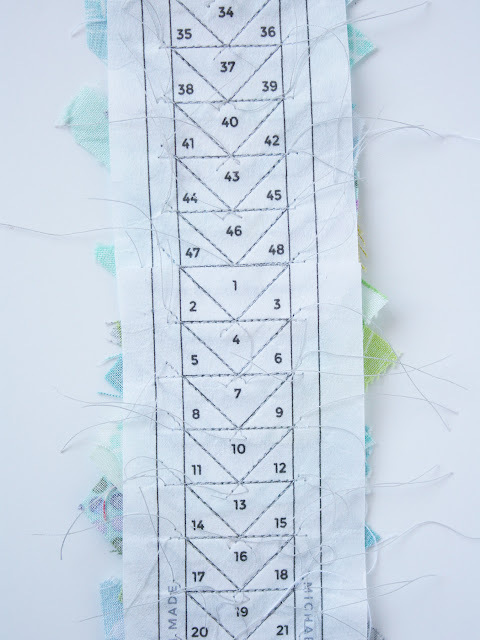 be sure to add an additional 1" to the width of the attachment fabric piece. 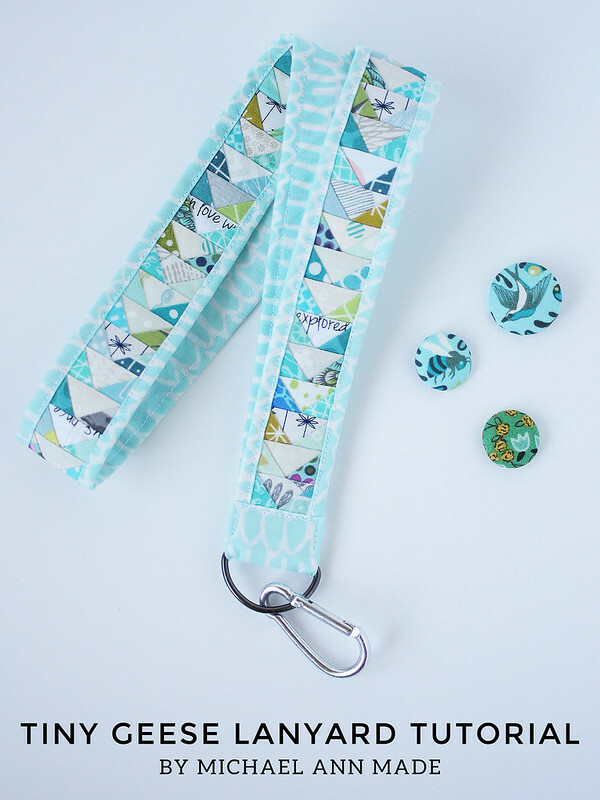 You just made the world's most adorable quilty lanyard! 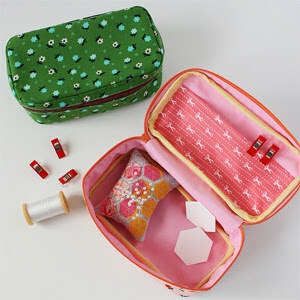 Good luck sewing, and if you make one, I'd love to see! 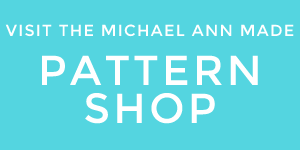 Be sure to tag #tinygeesekeychain, #michaelannmade or @michaelannn on Instagram! and I would totally buy it again for this project! I am really excited about this. 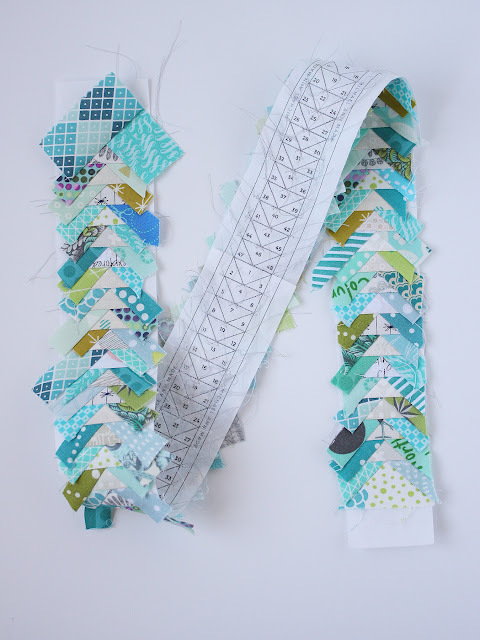 My son bought me to mini jelly rolls of 1" strips and I have been looking for a project to use them. This may be it. Really want to make one ( or two) of these. Thank you for sharing! Too stinking cute. My best friend and I will have one of these....hers in red, mine in purple.